San Francisco, CA – VIZ Media, LLC (VIZ Media), a premier company in the fields of publishing, animation distribution, and global entertainment licensing, delivers a fun new romantic comedy with the release of TAKANE & HANA on February 6th, 2018. The series, by creator Yuki Shiwasu, is rated ‘T’ for Teens and will be published under the SHOJO BEAT imprint. Volume 1 carries a print MSRP of $9.99 U.S. / $12.99 CAN. TAKANE & HANA also launches digitally via viz.com and the VIZ Manga App, as well as from the Nook, Kobo, Kindle, iBooks, comiXology, and Google Play stores. Future volumes of the series will be published in English by VIZ Media on a bi-monthly basis. 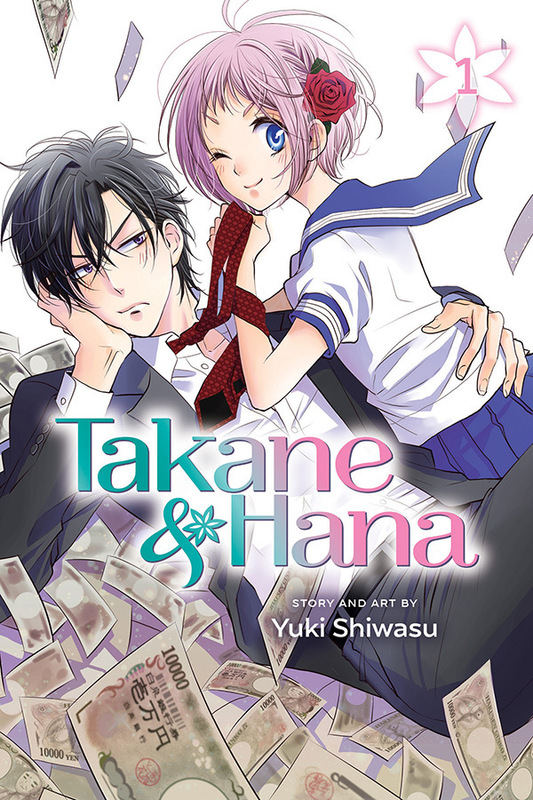 In TAKANE & HANA, after her older sister refuses to go to an arranged marriage meeting with Takane Saibara, the heir to a vast business fortune, high schooler Hana Nonomura agrees to be her stand-in in order to save face for the family. But when Takane and Hana pair up, get ready for some sparks to fly between these two utter opposites! Creator Yuki Shiwasu began her manga career after winning the top prize in Hakusensha’s Athena Newcomers’ Award in Hana to Yume magazine. She was also the author of Furou Kyoudai (Immortal Siblings), which was published by Hakusensha in Japan. For additional information on TAKANE & HANA and other manga series published by VIZ Media, please visit viz.com.